Be the first to finish your cutting needs with the spring assisted Browning Finish Line knife. 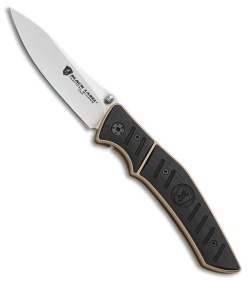 440A stainless steel, drop point blade with a satin finish, and a thumb stud opener. Black and tan G-10 handle with a frame lock mechanism.